What was the customer’s problem or need? The contractor, Carter and Sons, had taken on a large apartment project and they were having difficulty keeping qualified personnel on the job. How did you approach and solve the customer’s issue or improve their business? Matt approached one of the project managers with Carter and Sons and showed him the complete SharkBite EvoPEX and Universal brass product offering. 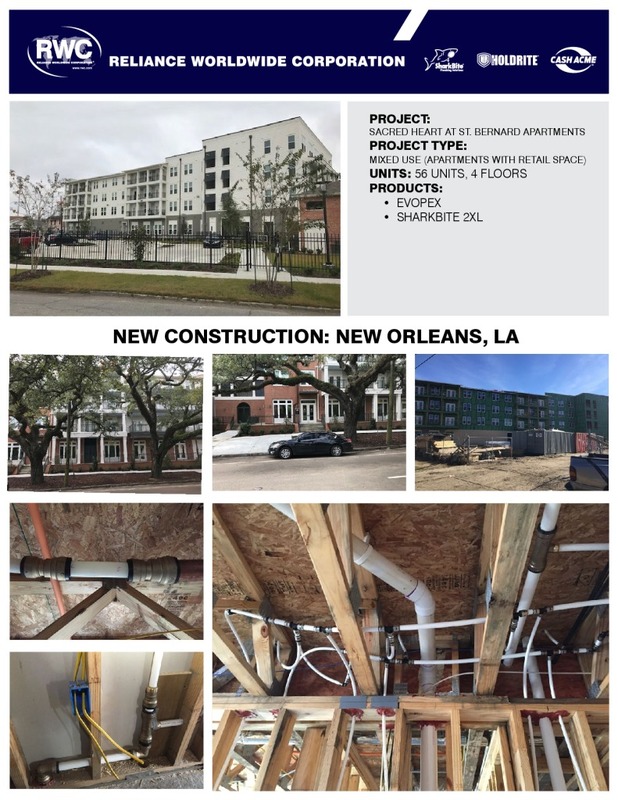 This project manager ended up being instrumental in selecting SharkBite over Crimp and Uponor systems due to the ease of installation and lack of tools required. What best practices did you learn? No matter the size of the contractor, there will always be opportunity to introduce a great product.